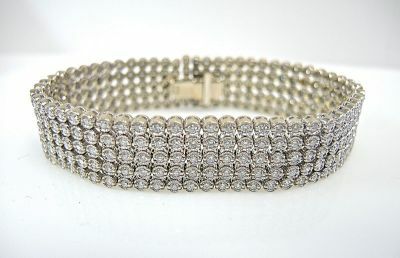 One elegant platinum bracelet with five rows of diamonds. 290 round brilliant cut diamonds (5.80 carats: SI-I1 clarity: G-H colour). 7’’ in length.